Re-entry Charity Clay Pigeon Shoot. A report of the event. During the morning Will and I put up his “pop up tent”, however a gust of wind ripped off one of the panels! Fortunately we were able to put up the two sides to provide shelter for people to sit at tables for drinking and eating. The Rotary tent was used for the raffle and serving teas coffees.The lucky ones were on registration because they were in the cabin …...plus heating.The not so lucky ones had put up the tents or were on car park duty! 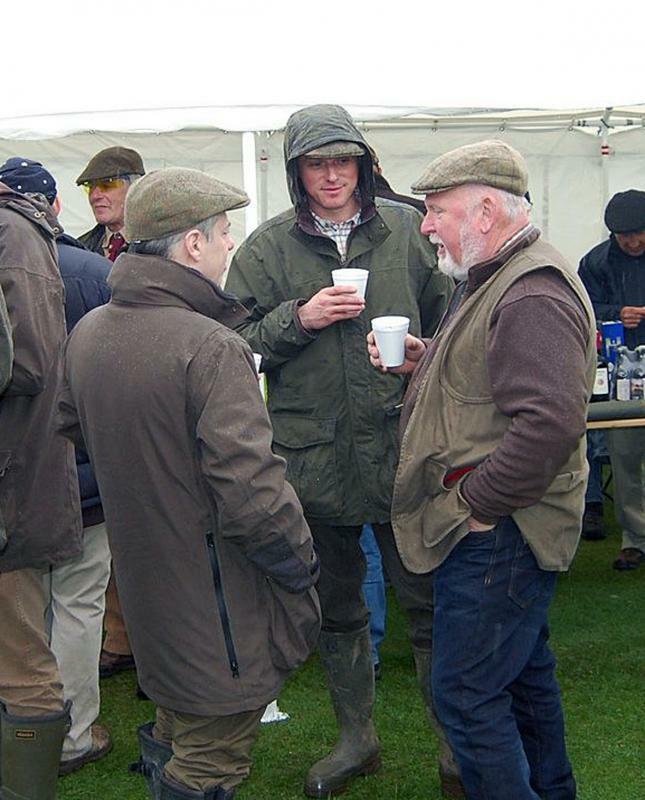 As soon as the shooters arrived many of them wanted a warm drink before setting off for the stands.The majority shot as individuals with some having a second go .There were four groups. After shooting many stayed to observe or have something from the BBQ. Group 1st“Top guns” with a score of 108 out of a possible 160 clays.with a prize of £50. Ladies . 1st L Coxon (£50)and second was M Crosland.(£25). Individual .Two shooters had the same score and there was a shoot off , but the trap broke! The joint winners were Tim Wade (£37.50) and Paul Wood (£37.50). Spot prize.Ben had put 12 orange clays into the traps.Four shooters managed to hit an orange clay,and received a small bottle of wine.Well done. 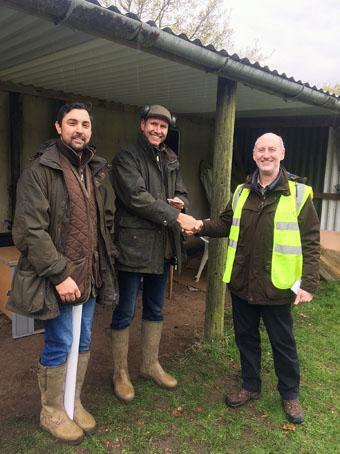 Our thanks to Ben Jacobs and his team for organising the course and operating the traps.A huge thank you to the sponsors Blakemore Foundation and to Pin Gin and Axeholme Brewery for sponsoring two stands. The event raised nearly £900.Thank to all participants and we look forward to next year.